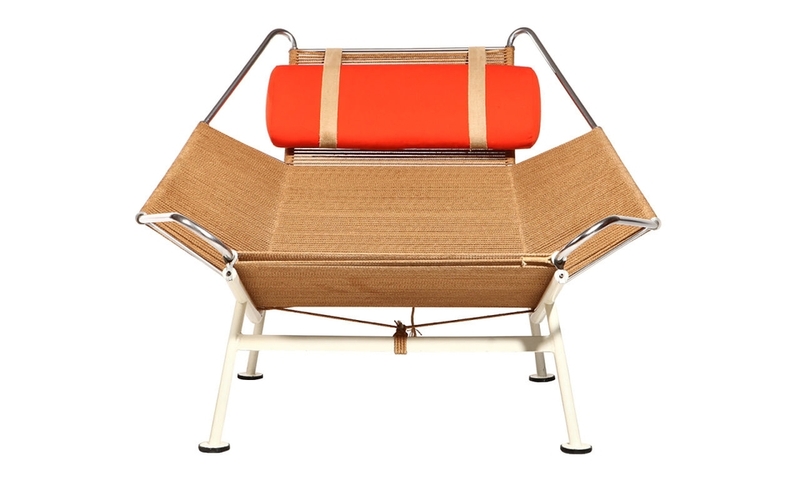 This lounge chair is woven of flag halyard and has a steel frame. It resembles a space vehicle. 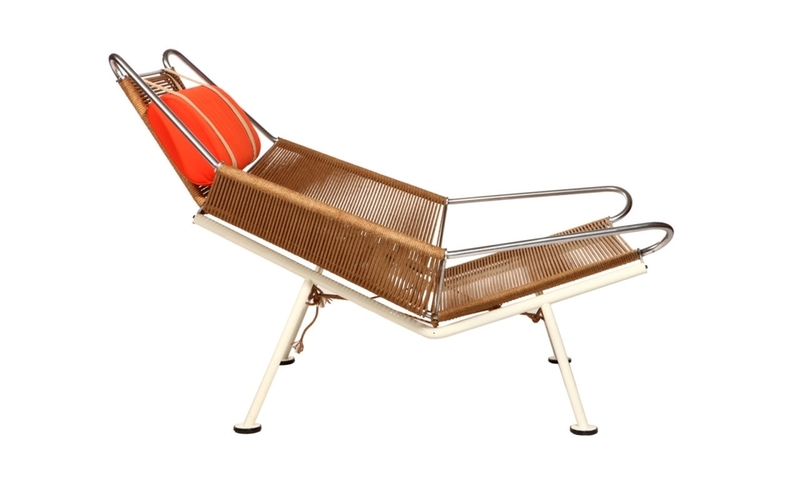 In spite of its peculiar look it is very comfortable. Long-haired lamb skin is also used as the seat covering.